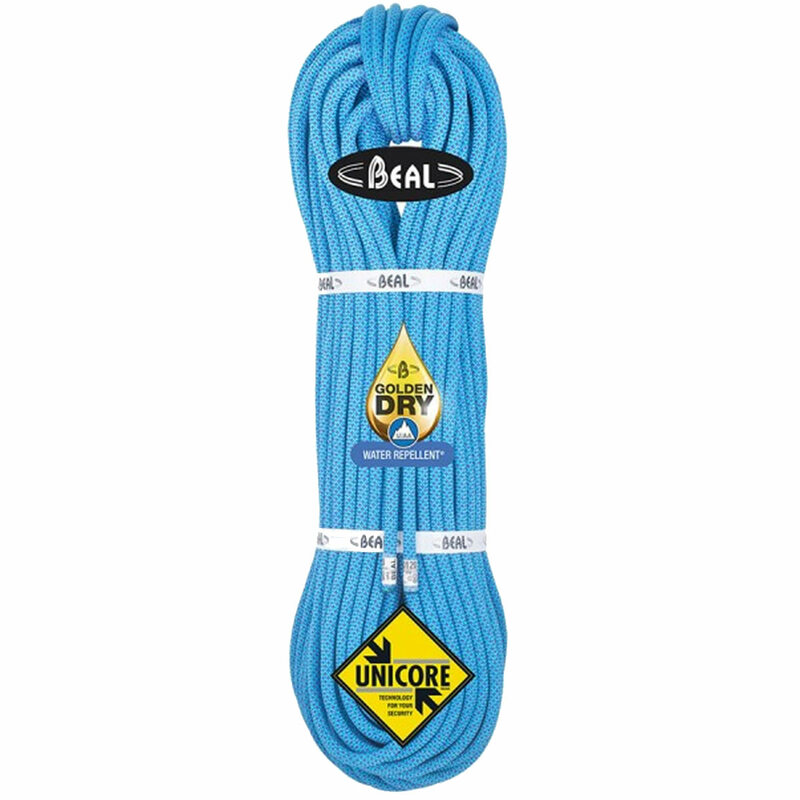 The Beal Joker 9.1mm UNICORE Golden Dry is a single/half/twin rope which now adds UNICORE technology and a Golden Dry treatment for increased functionality, durability, and weather protection, for use by high-level climbers in harsher winter conditions. The two technologies of the Beal Joker 9.1mm UNICORE Golden Dry make it extremely durable: sheath slippage and fraying is eliminated greatly improving its safety characteristics, with an abrasion and water-resistance that make it suitable for use in more extreme winter winter conditions. Requires advanced belaying technique and recommended for use by advanced climbers. If you want a rope that will work in winter conditions, then this is the option for you. Features all the same treatment characteristic of the Dry Cover but has an extra treatment on each filament of the inner core strands, further enhancing its resistance to water and ice, and greatly improving rope handling characteristic in wet/cold conditions and extending the lifespan of the rope.